Dining table from the FLOW series. 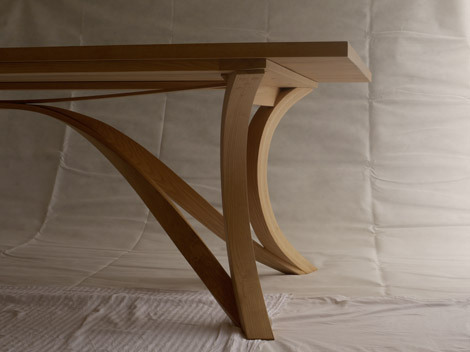 Designed using the techniques and aesthetic developed for the Eisteddfod chair. 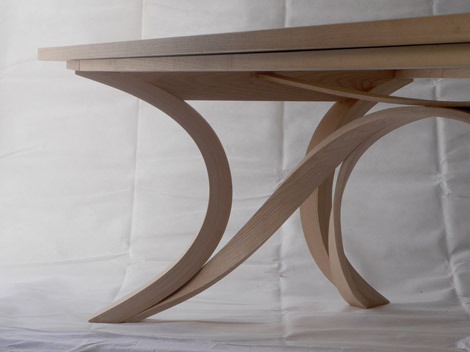 The curves bring tension to the design, creating a structural integrity, as well as visual harmony. Made using a combination of steam bending and laminating. The FLOW | dining chair is under development. This table can be ordered in any size.